Auto & Work Injury Doctors - San Antonio, TX | FREE CONSULTATION! Business Address: 4801 Fredericksburg Rd. At Auto & Work Injury Clinic, our doctors provide comprehensive treatment for work, auto, sports, and personal injuries. Our emphasis is on treating you, the injured patient, with respect and compassion. We provide you with the latest in state-of-the-art technology available for more accurate diagnostics and more effective treatments to get you on the path to healing and back to work, recreation, and your normal day-to-day life free of pain and limitations. We specialize in providing you with a unique approach to helping you reach your specific goals. Our team of expert’s help you recognize the problems and take action to decrease or eliminate potential impacts to your health. Each person is different and our customized approach is tailored to your individual needs which allows us to create achievable goals that are based on your lifestyle and physicality. We use state-of-the-art tools to identify your issues easily and effectively. Our Health specialists are committed to help you make changes in your life and health care. Our main location is in San Antonio, Texas, and we currently have 9 satellite locations throughout the state in Austin, Corpus Christi, Dallas, Del Rio, El Paso, Houston, Laredo, New Braunfels, and Padre Island. Our name has come to be recognized as a safe place where you can seek same-day treatment for your injury, as well as get help with hard-to-manage chronic pain. Even the most difficult workers’ comp cases can be handled by our injury experts. Se habla ESPAÑOL. Tuvo Un Accidente Automovilistico? Se Lastimó en el Trabajo y necesita ayuda? Anda en busca de un Doctor o un Abogabo Responsable, Humilde y Honesto? 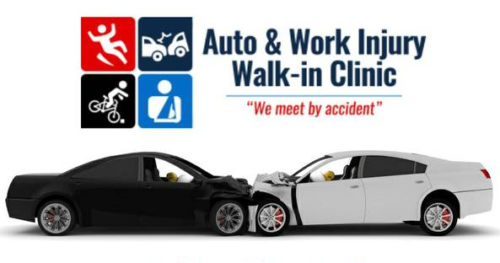 Hable ahora mismo a Auto & Work Injury Walk-In Clinic para una consulta GRATIS! IS THIS WEBSITE AFFILIATED WITH ANY OF THE DOCTOR OFFICES? No. This is a directory of doctors that specializes in accident injuries treatment that accept accident liens and offer a FREE First Exam and Treatment. This website is in no way responsible for any financial or professional disputes that may occur between clients and the independent chiropractic office. Each chiropractor listed on this site is an independent entity. They are licensed doctors of chiropractic and are liable for any financial or professional misconduct.